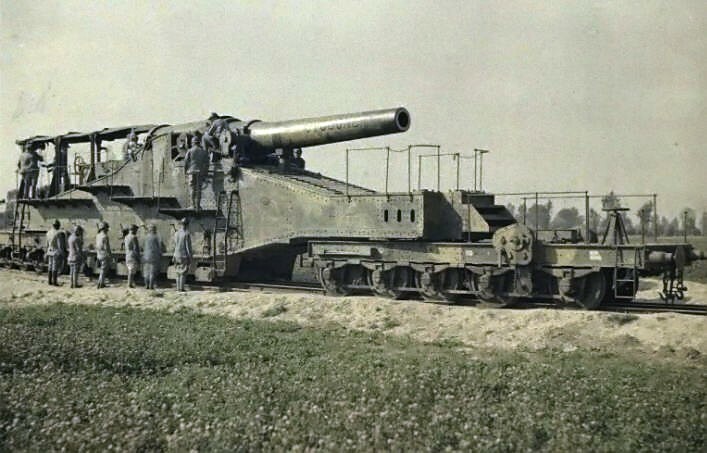 The Canon de 32 modèle 1870/93 was a former coastal defence gun that was converted into a railway gun during the First World War and used on the western front. 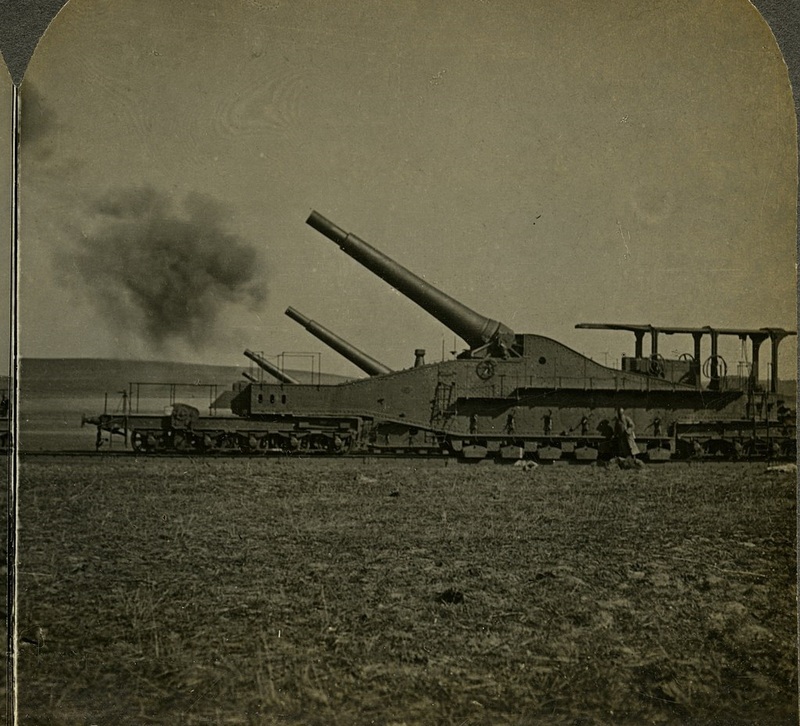 Heavy guns were used to protect the French coasts even before the Franco-Prussian War of 1870-1871. These included the Canon de 32C modèle 1870/84 M coastal defence cannons. As usual at that time, the guns had a ribbed barrel and several layers of iron reinforcing tires. Separate charges and projectiles were fired by the interrupted breech. After the lost war, the French army kept these guns. After the outbreak of the First World War and the beginning of the Positional War on the Western Front in 1915, it became apparent that the light French field guns were no longer sufficient to damage or destroy the increasingly fortified German positions. 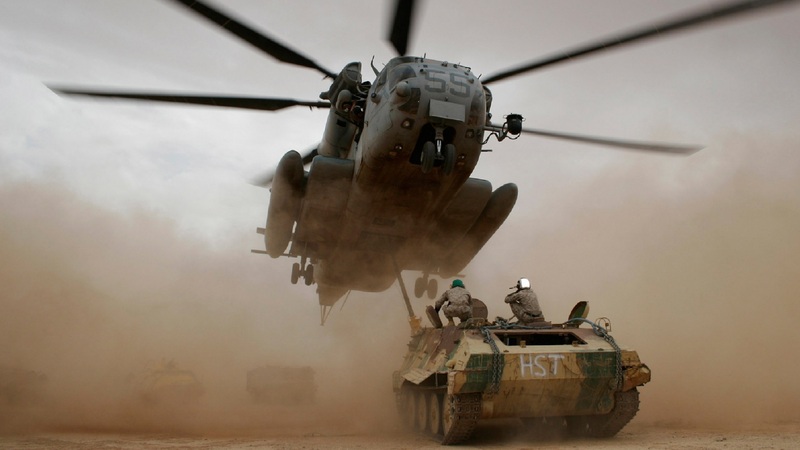 Therefore the High Command decided to bring the heavy guns from the fortresses to the front. The coastal guns also fell under this arrangement, with many being converted into railway guns because they were more mobile and often too heavy to be constantly transported. 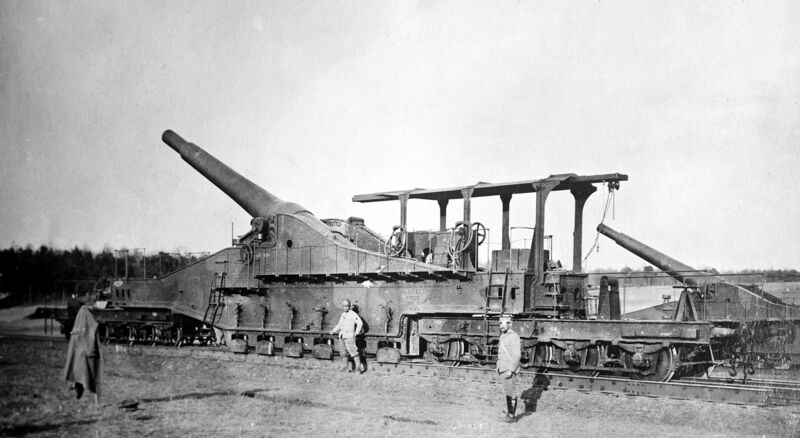 Also the remaining 6 Canon de 32C modèle 1870/84 M coastal defence guns were chosen by the Schneider company to be converted into railway guns. In 1915, two 5-axle railway wagons were connected to a steel scaffold, on which the gun was mounted. As it did not have a turntable itself, the entire construction had to be placed on pre-set tracks for aiming. Wooden beams were then placed next to and on the tracks in order to be able to place the supports. For the recoil the guns used a sliding recoil system, whereby the gun slipped back a few meters after firing and then returned to its original position. All in all, these railway guns proved to be stable, effective and relatively inexpensive after the first tests. Later Schneider railway guns, however, had an improved recoil system and aiming devices. 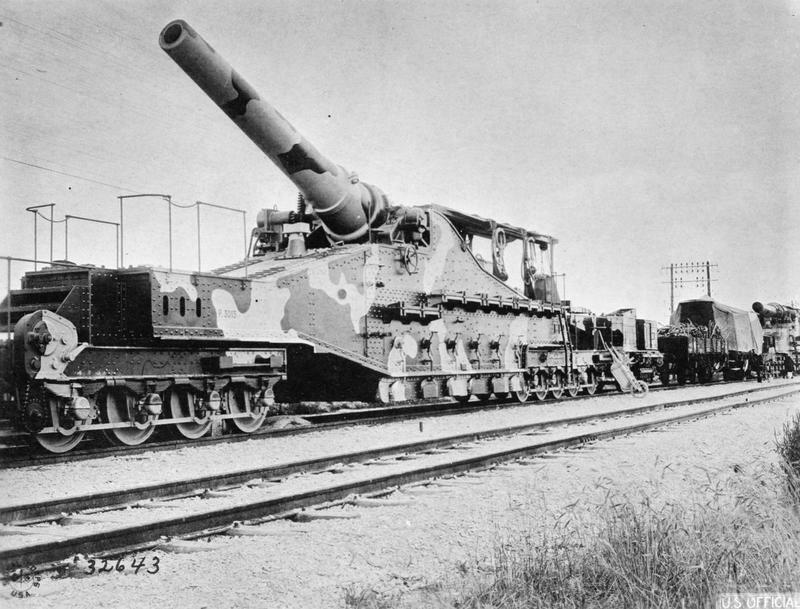 At the end of 1915 the first of a total of 6 railway guns were delivered to the French army under the designation Canon de 32 modèle 1870/93 and immediately deployed on the western front. The guns remained there until the end of the war. 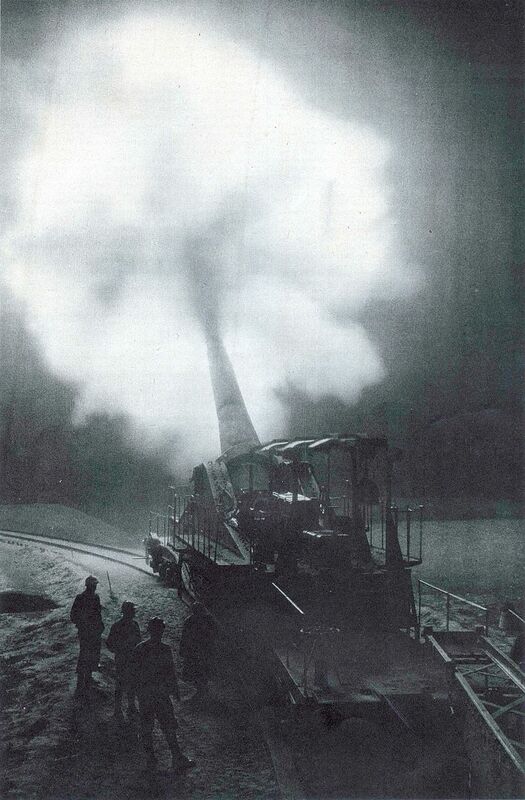 After the First World War, the 6 railway guns were taken to depots and kept there as a reserve. When the Second World War began these guns were reactivated, whether they were used against the German Wehrmacht is not known. After the capitulation of France in 1940, the guns were captured by the Wehrmacht and put into service as 32 (K) 65 (f) or 32 cm (E) 657 (f). 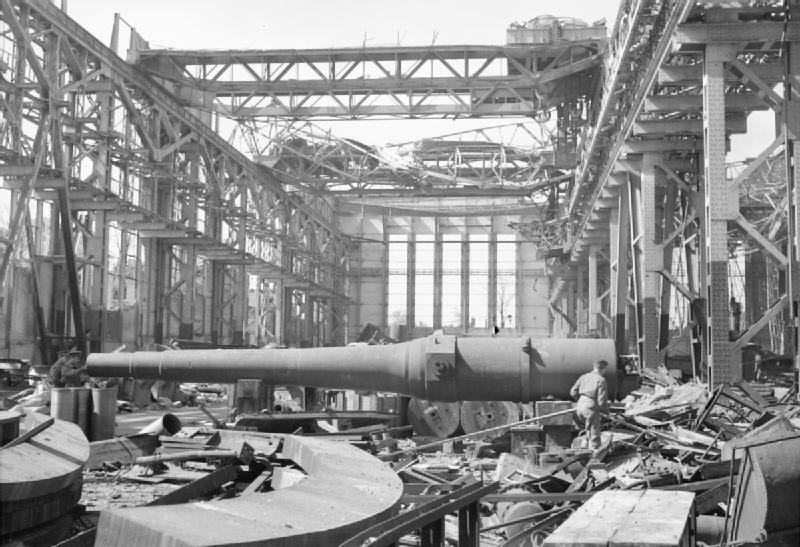 A gun could be discovered 1945 in a factory of the company Krupp by the RAF Bomber Command.